Please note that our email addresses have changed. Please see the bottom of this email for our new contact details. Thank you to all that attended the Special General Meeting. The changes to the constitution were approved and have been submitted for NPO registration. Also agreed upon was that the WFPA will start charging non-WFPA members for firefighting assistance by WFPA members. This is to encourage more membership and to buy and repair more equipment. This is to be driven by the FMU and Ward leaders. The general message that went out at all preseason meetings is that we cannot afford for our mountains to burn. Most of our critical mountain catchments have last burnt less than 10 years ago, where the natural fire cycle is 10-15 years and longer in dryer area. Any fire in these areas now can and will damage the water catchment abilities of our mountains. Please click here to view the maps showing veld age. 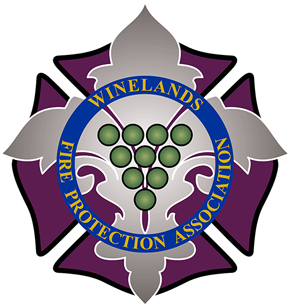 Also presented at the SGM were WFPA stats on membership (which is not as good as it could be), burn permits and training provided, and parts of the Cape Winelands preparedness plan. Ensure the fire has been reported to the Cape Winelands Fire Services! Ensure all your equipment is in good working order, all required equipment is secured to vehicle and water tanks are full. Ensure you and all responding with you are wearing PPE (minimum long jeans or overalls, leather boots, cotton shirt, gloves). Other good to haves are torches at night, goggles, mouth & nose cover, hat or hardhat. Click here for more good to haves on our website. On arrival report to person in charge of fire (Incident Commander). For safety it is important that the Incident Commander knows which resources are where at all times. Ensure you have good communications with all under your command, those fighting fire along side you and that at least 1 of you has direct communication with the Incident Commander or your assigned supervisor. Know what the fire is doing at all times! This includes having eyes on the fire, knowing local weather forecast and local factors affecting fire behaviour. You are not a registered emergency vehicle, therefore please follow all rules of the road. Even on farm roads please ensure your driving and parking does not hinder or endanger other responding vehicles and persons. Any persons not wearing correct PPE can and will be asked to leave the vicinity of a fire!! Due to the drought both water and disaster management budgets for firefighting are limited. Therefore helicopters will be used sparingly and often for initial attack only. This means that the Cape Winelands District Municipalities will rely on ground crews a lot more when fires extend beyond Day 1. Landowners will be able to privately arrange for the Working on Fire helicopter and fixed wing bomber planes. These aircraft can be arranged only with the knowledge of the Incident Commander through the Stellenbosch WoF dispatch centre (contact number 0218802639) or Tulbagh WoF dispatch centre (contact number 0230040682). We would highly recommend that you discuss any call for aircraft with the Incident Commander and take his years of experience and advice into account. These aircraft are expensive and if not used correctly are ineffective (eg without proper ground support or anchor point). Please also check that you understand all the T&Cs of your insurance policy if you are covered for firefighting costs. While always thankful for the donations to firefighters, the Cape Winelands District Fire Work Group would like to make it known that its responding Agencies and related contractors have budget and prior arrangements for food, and therefore are not reliant on donations. Please speak to the Logistics Section Chief or Incident Commander before making a donation of perishable foods or a large donation of other items to the firefighters. This is to ensure the correct planning and coordination can take place for appropriate storage, maintenance of food safety and to prevent wastage. Each responding agency including landowners are in charge of providing / arranging drinking water and food for their staff. Please speak to your FMU or Ward leader to assist with arranging distribution if required. It is often hours without refrigeration before food can get to firefighters. It is often not practical or possible to drive food out to firefighters, meaning food packs sit in hot vehicles or backpacks for many hours. Mop-up, observation and patrolling is the responsibility of the landowner. This is to release the fire services to respond to other fires. Proper mop-up includes extinguishing or moving any smouldering material within 10m of the perimeter of the fire. Observation of the fire perimeter for several hours after the fire is extinguished and regular patrolling thereafter is to ensure there are no flare-ups or they are dealt with quickly. This is especially necessary where underground fires may have occurred (e.g. in tree roots, in dense leave litter or marshy ground) or where tree stumps may continue to smoulder. Regular patrolling should only end when all sections of the burnt area are COLD. All veld fires should be reported to the South African Police Service afterwards so offences can be followed up on. It is important to note that veld fires cannot be classified as “arson” but have to be classified as offences under the National Veld and Forest Fire Act. Please download an information sheet here put together by Ashley Bauer (Franschhoek ward leader) on the different offences and their CAS numbers. The WFPA would like to wish you all a Happy Christmas and all the best for the fire season.